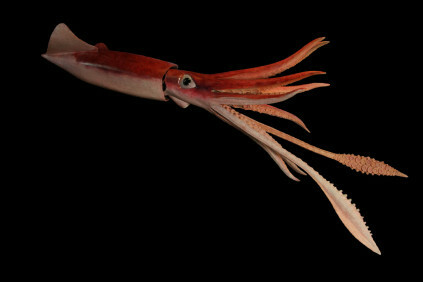 The humboldt squid has many names: Jumbo squid, jumbo flying squid, or diablo rojo (red devil). 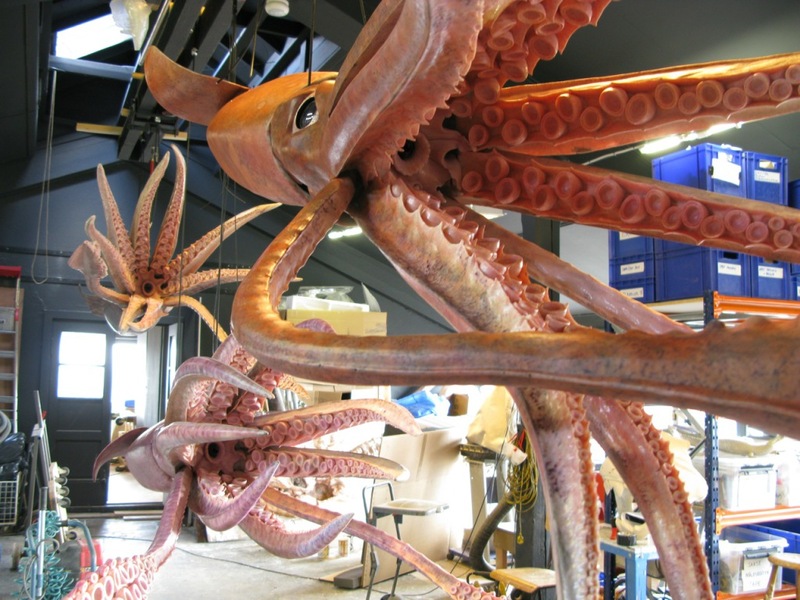 It is a large, predatory squid living in the waters of the Humboldt Current in the eastern Pacific Ocean, where it is commonly found at depths of 200 to 700 m. The humboldt squid is a carnivorous marine invertebrate that move in shoals of up to 1,200 individuals. They swim at speeds up to 24 km/h propelled by water ejected through a siphon and by two triangular fins. 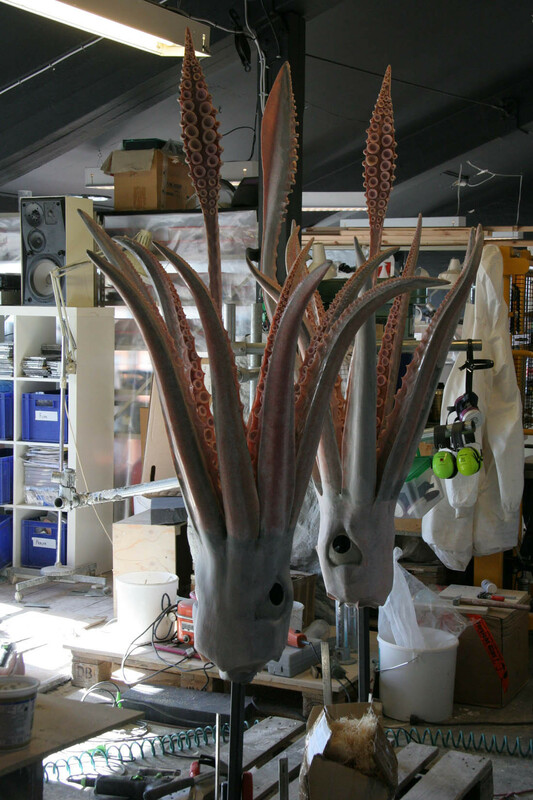 Their tentacles bear 100–200 suckers, each lined with razor-sharp teeth, with which they grasp prey and drag it towards a large, sharp beak. Its diet consists mainly of small fish, crustaceans, cephalopods, and copepods. 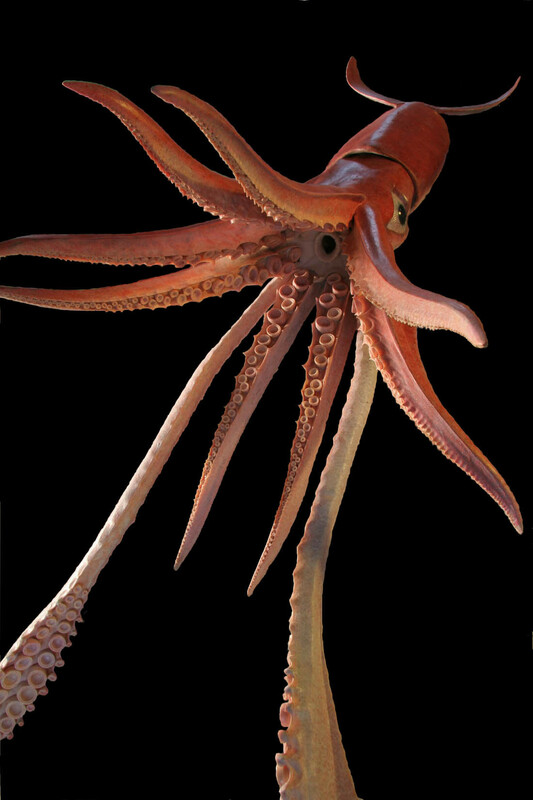 The humbodt squid can reach a length of 1.5 m, but that is the main body, called the mantle, only, not including its long arms! It possess bioluminescent photophores and are capable of quickly changing body coloration, notably flashing red and white at a fast pace while hunting, earning them the name diablo rojo (Spanish for "red devil") among fishermen. These chromatophores may rapidly cycle through colors other than red and white, flashing too quickly for the human eye to see the transitions. They have a relatively short lifespan of just 1-2 years.